Zombie Zoology, released last May from Severed Press, features twelve stories about dead animals coming back from the grave. The stories take place in varied locals like roach-infested buildings, farms and outer space, and the animals are brought back to life by magic, extraterrestrial pathogens, experiments gone wrong and unexplainable circumstances. The anthology stands apart from others in the zombie subgenre not on the strength of any particular stories in the book (they're all good!) but because of the uniqueness of the material covered. There are whole publishing imprints dedicated to nothing but zombie fiction, but hardly any of it deals with zombie animals. Zombie Zoology, by and large, skirts the topic of undead people in the majority of its stories, focusing primarily on animal outbreaks both small- and large-scale. 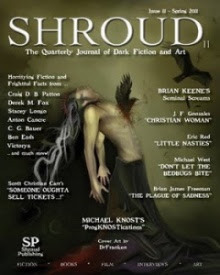 The only thing that might irk some zombie purists is the tendency of these zombie beasts to break one of the tried and true rules: in several of these stories, damage to the brains did nothing to stop them. In one particular story, a zombie goat sustained multiple skull fractures and still came back for more. But then, zombie animals are largely uncharted territory, so it isn't a major issue. 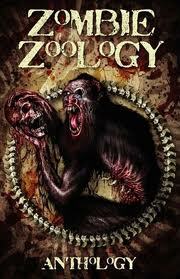 Zombie Zoology should definitely earn Severed Press some new fans and offer a breath of fresh air to any zombie fan. Lincoln Crisler's debut novella, WILD, is due in March from Damnation Books. He has also authored a pair of short story collections, Magick & Misery (2009, Black Bed Sheet) and Despairs & Delights (2008, Arctic Wolf). A United States Army combat veteran and non-commissioned officer, Lincoln lives in Augusta, Georgia with his wife and two of his three children. You can visit his website at www.lincolncrisler.info.